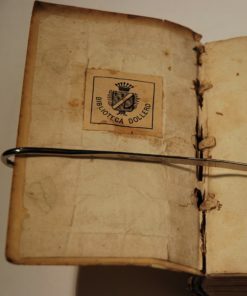 12mo., contemporary full vellum with handwritten (in contemporary hand) titling to spine, pp. 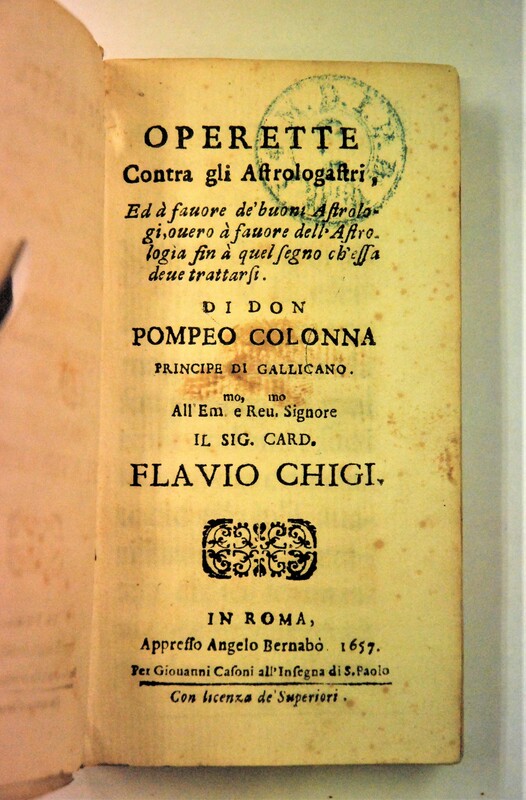 , 406, dedicated to Cardinal Flavio Chigi, containing:  Il setaccio in cui si ripassa la farina de’pronostici. D’Osmur Zerith Gran Satrapa della Persia (forwarded with a letter dated 31 January, 1649, and from a prison in Naples, to Emanuele del Pino, with the pseudonym Acmat Ziruf, in which he makes, retrospectively, the prediction that there would be a revolt in Naples in 1647; the main text discusses the astrological prophesying of crop yields); and  Lettione e vaticinio di tutto l’anno in generale. 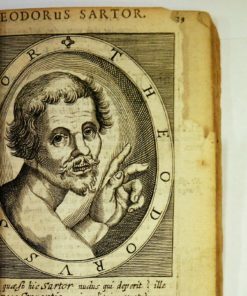 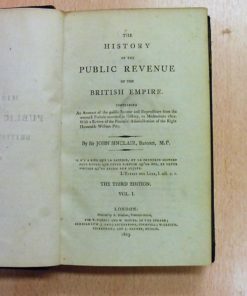 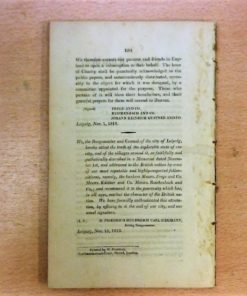 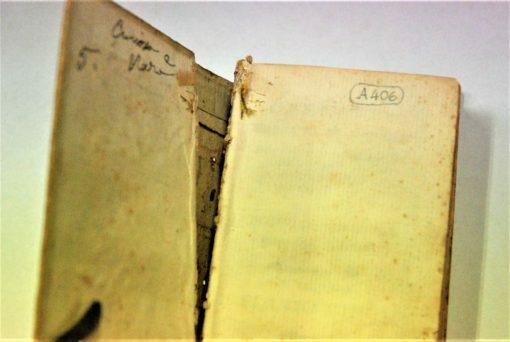 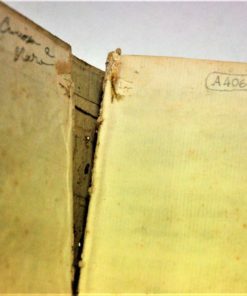 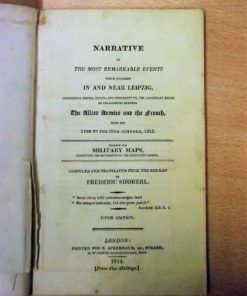 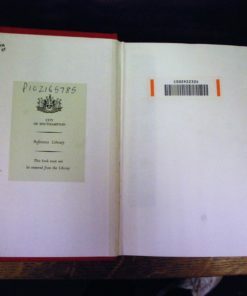 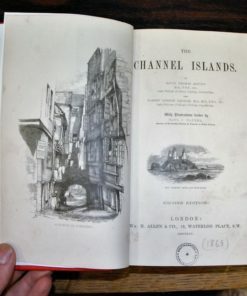 Spine cracking apart from text block, some worming, discoloration to spine, library stamp on title page. 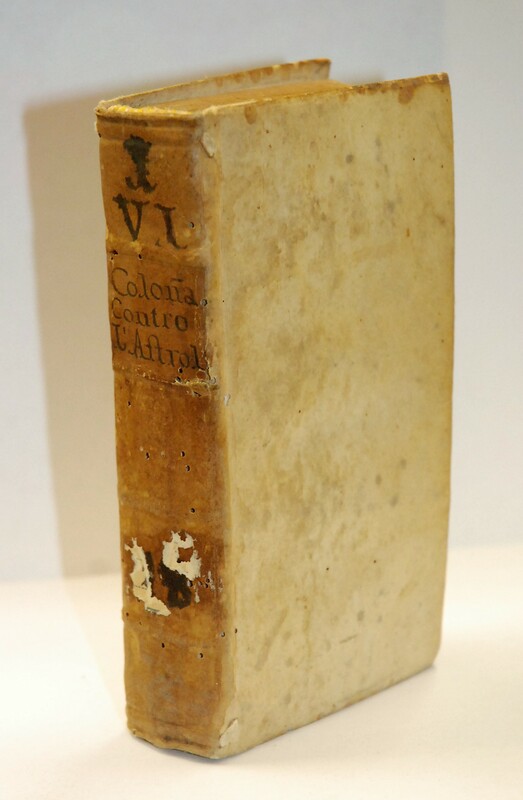 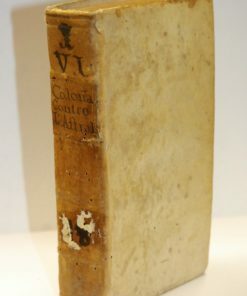 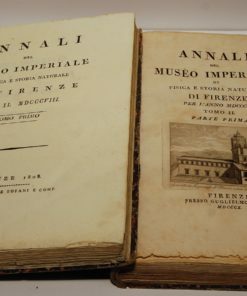 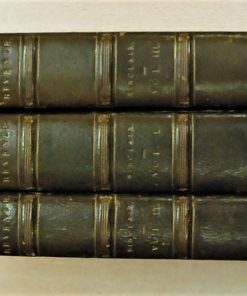 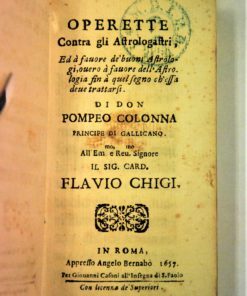 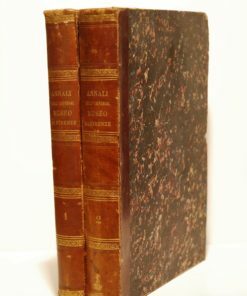 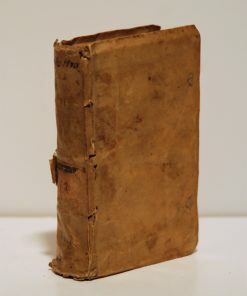 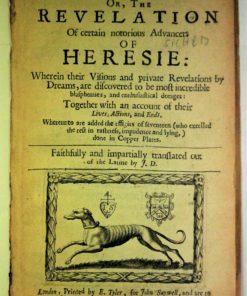 First and only edition of this v. scarce compendium of two essays by the Abruzzese nobleman Pompeo Colonna, a figure of distinction in the history of Abruzzo.Text in Italian.